Maxymiser is an amazing tool that helps us to visualize many things with our companies websites. It allows us to view how much traffic we have, what tactics, ads and designswork best, and generally helps us visualize our data. Maxymiser helps us design, personalize, and edit our websites to get the best results and customer service possible. This product is amazing. there is nothing about this software that i dont like using. i really enjoy data like this and i use this tool almost daily. This product helps you to see what implementations of your website are working the best, how many people are viewing your website, and ways that you can improve your website. Maxmiser helps us improve our customer traffic flow, our turnout, and the way that people view, and intteract with our website. Oracle Maxymiser has helped us so much in improving the Performance and delivered multivariate tests across all of our platforms (mobile, desktop and tablet). 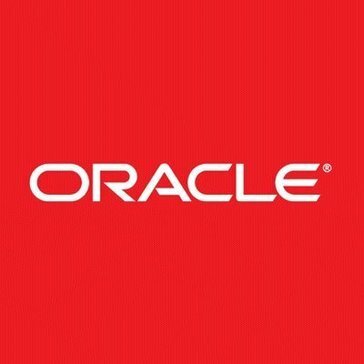 The Oracle team is very helpful and has comprehensive ideas about how we can enhance conversion and take our optimisation performance to the next level. Since it's a relatively new product in the market, so finding the talent has been a little difficult. Before running the test cycles, you need to be really confident of the Assumptions that you are going to make about your business in the testing because a lot depends on that. We have seen huge returns after using this tool, but you really need to take full advantage of its advanced features. It integrates seamlessly with websites and test across multiple pages and runs heavily targeted testing for specific functionality. You can create reusable custom scripts for targeting or tracking. 1. Insights of your business, this feature helps you learn things about your business that you might have overlooked or not even aware of. 3. Handles large traffic and reliable performance under load. 1. The user interface of the analytics UI could be better. 2. Delivery time could be made better. As of now it''s pretty much reaching our expectations, but it could be made better. 3. Self serve feature disappears sometimes. The tools is being used by the VR team, for core testing and optimization within the company. Helped in improving the performance and user experience overall. Rapid testing was so useful i cannot stress enough for the company. Hence, we could push the product out early thanks to maxymiser! "Once you try it, you will never use any other testing apps"
What I genuinely like about Oracle Maxymiser is that its has a very simple gui and very clear insight which makes its easier to use. Its makes easier for us to review the results. Its is directly connected to ERP and RDMS which saves a lot of time. I think it's bit expensive and sometimes its a bit choppy and slow at the time of result fetching. It really helps us a lot in AB testing and optimization which helped us to compare and review. "An awesome multivariate testing tool with a learning curve"
Of all the optimization software platforms I think Maxymiser offers the biggest impact. There is a definitive learning curve, particularly as a developer. If you're coming from another optimization software make sure that you need the robust capabilities that Maxymiser has. 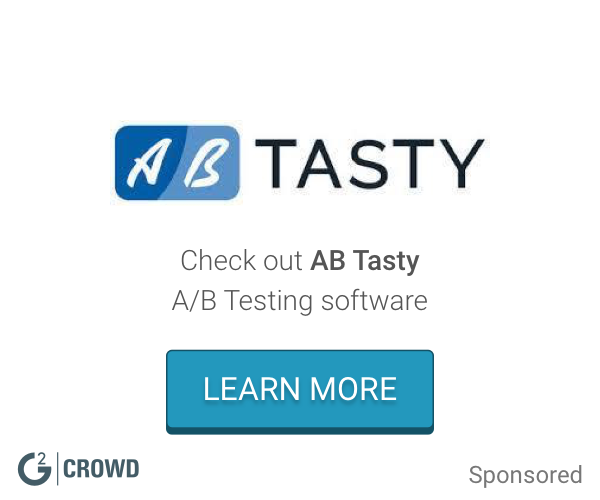 If you're simply trying to run A/B tests then Maxymiser might not be a great fit, especially at its price point, but if you're seeking in depth conversion knowledge than I feel like you might want to give it a shot. I use Maxymiser as our de facto A/B testing platform, and the benefits are that you should always be testing, so it solves that business need. "Adds value to your projects"
Its optimization is the best and I'm sure I'm not the first one to say this. You can do continuous tests on it and not have to face any kind of problem. Also, the interface is very user-friendly. If you want to test small test cases, it's not the ideal one considering the price point. That said, it's great if you want to do in depth testing and keep up with what is happening in a deeper level. It saves a lot of money on infrastructure since it uses cloud. Oracle maximizer allows me to focus on my customer base and who to target. No problems occurred. I have realized the benefit of real time personlakization and testing. What I love the most is its personalization. "Satisfactory experience with Oracle Maxymiser"
i like it because it's cloud based testing of mobile app. its very costly for a average business so i think it is the drawback. Its interface and fact that it gives efficient results to understands customers better. The costing ! Can we have multi options too ? Understanding and mapping customer behaviors. Cost to serve. You probably need to hire Oracle consultants to do the implementation and training. In addition, the annual maintenace cost and headcount budget. AB testing and personalization for marketimg campaigns. "Oracle maxymiser - best A/B testing platform"
Oracle maxymiser is the best platform for continuous and complex A/B testing. It helps the users to test in an easier way even if they have least programming skills. It takes time to create reports for the testing. It helps to test websites easily and without taking much time. It is more helpful for users with least programming skills. Once it's set up, the interface that reports on the results are very easy to review, giving you clear insights into the success of the task. Sometimes the lead time - from idea to implementation can be a little slow. Working in the ecommerce team, we are constantly trying to improve site usability and increase revenue. We've used the system to do just that! * We monitor all Oracle Maxymiser reviews to prevent fraudulent reviews and keep review quality high. We do not post reviews by company employees or direct competitors. Validated reviews require the user to submit a screenshot of the product containing their user ID, in order to verify a user is an actual user of the product. Hi there! Are you looking to implement a solution like Oracle Maxymiser?